Entire Paris went into heartbreak and shock when one of the oldest and invaluable heritage- Notre Dame cathedral, constructed in the 12th and 13th centuries, engulfed into an unknown fire. 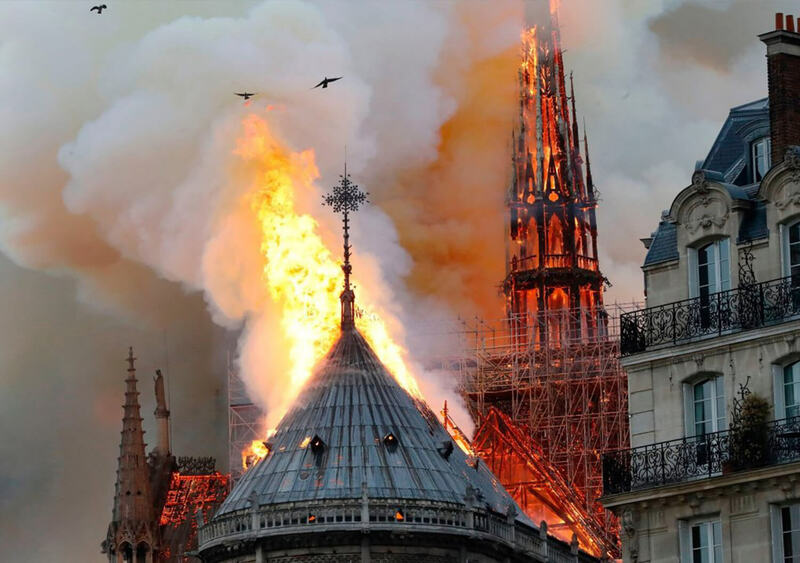 The 850-year-old Gothic building’s spire and roof damaged severely after the devastating fire but the two bell towers were managed to be saved by the firefighters. President Emmanuel Macron called it a terrible tragedy and said, ‘We’ll rebuild Notre-Dame together,’ he quoted, ‘I am solemnly telling you tonight: this cathedral will be rebuilt by all of us together.’ Soon after their President’s statement, many came forward to help return the building to its former glory. Actress Salma Hayek’s billionaire husband, Francois-Henri Pinault, a chief executive of international luxury group Kering that owns brands such as Gucci and Yves Saint Laurent, and also the president of French holding company Groupe Artemis, has pledged €100million (£86million) to help with the complete restoration of the heritage.